It's safe to say, that most of us have all struggled with motivation and procrastination at one time or another in our lives. Typically, our solution is to kick ourselves in the pants and just get on with it, but it's not always a successful answer to the problem. 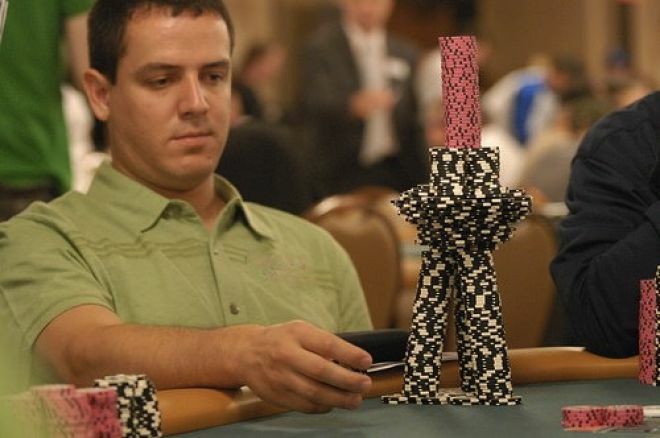 In this article, Dr. Cardner lists 6 practical ways that poker players can increase motivation. These suggestions offer clear paths and accountability to help you reach your goals. As poker players, we all have many things that we want and need to do, but how many times have you been stymied by procrastination? Maybe you just haven’t been able to get yourself motivated to practice with an equity calculator for an hour a day. Or maybe you’ve been neglecting your diet and exercise. You know you should be doing these things, but somehow you can’t bring yourself to get started with them. Motivation is an interesting concept that most of us don’t intuitively understand. We keep waiting around for our motivation to show up before we take action, and most of the time it’s nowhere to be found! In this article, I’m going to outline six tips that can help you increase your motivation and get more done. Many times we tell ourselves something along the lines of “I’ll watch those training videos when I get in the mood to study.” As a practical matter, most of us know that motivation rarely leads to action, because when do you ever really feel in the mood to do work? The irony is that if we force ourselves to take action, our motivation will naturally increase. A little action, done on a consistent basis, can take you a long way towards reaching your goals. What is your big “why” for doing something? Knowing this can help fuel motivation. Maybe your big “why” is to provide for your family by playing poker so that you can avoid “cubicle nation.” Actively reminding yourself of your underlying reason can be powerful motivation to work on your game and put in hours at the table. Feeling overwhelmed is one of the foremost reasons why motivation wanes and procrastination abounds. As the question goes, how do you eat an elephant? Answer: one bite at a time. If you have a task in front of you that is complex and time consuming, break it down into small steps and then tackle each one. Paralyzed by feeling overwhelmed? Start really small. What’s the smallest step you can take that will get you going in the direction you’d like to go? Give yourself a deadline for completing a task or project. Suppose you want to read the recently released Jonathan Little on Live No-Limit Cash Games: The Theory which is a 300-page book. You may be worried that you’ll never finish it. Three hundred pages is a lot of text, but if you set a deadline to finish it in a month, then it’s easy to figure out that you need to read about 10 pages a day. Ten pages per sitting probably seems more doable than 300, and having a deadline is a good way to stay on track. Make a pact with a trusted friend or colleague that you’ll get your project done by a certain date. Check in with this person regularly to let him or her know where you are in the process. If you aren’t on pace to meet your commitment, you’ll need to figure out some strategies to get back on track. Having a study partner (or study group) is ideal. Just knowing that you have someone relying on you can be a powerful motivator. This is why it’s a great idea to have an exercise partner! Ask yourself, “What is it going to cost me (financially, socially, and/or emotionally) if I keep putting this task off?” Be honest with yourself. Do you stand to lose a great deal if you don’t do whatever it is you keep putting off? Sometimes arousing a bit of anxiety is a good way to get motivated. If you set a goal of completing a certain task or project and put consistent action towards it, you will make progress, and knowing that is often just the kick in the pants you need to keep going. Give these tips a try, and I’ll bet that you’ll start getting more of the results that you’re after.